Optrex the eye care specialists have your eyes health in their best interests by providing products that really do work to provide relief from your eye problems. Tired, sore and gritty eyes can make you feel uncomfortable at anytime of the day and especially if you have important things to do. Sitting hours in front of a screen, driving to work or long commutes can take its toll on your eyes and stress levels. The new Warming Eye Mask is a new innovation that can relieve and relax your tired eyes as well as your mind. You can choose between an unscented mask to relieve tired eyes or a scented lavender mask for total tranquillity. The self-heating disposable eye mask with micro steam technology starts to warm up once opened, releasing gentle soothing steam to moisten and soothe your eyes whilst you relax and unwind. The mask starts to reach its optimum temperature between 3-5 minutes and you can wear the mask for 10-20 minutes. 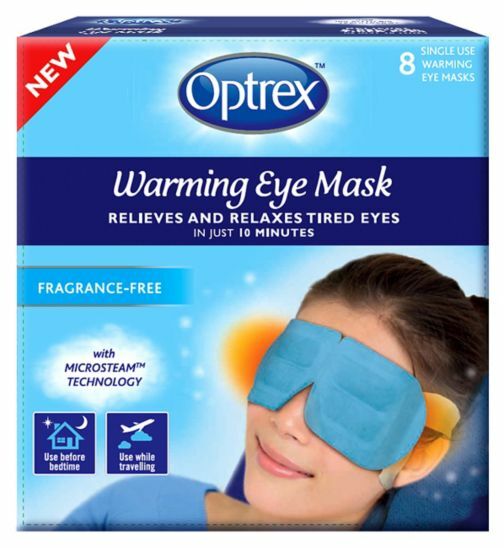 To further enhance the Eye Mask experience for its consumers, Optrex has joined forces with the renowned sound engineer, techno wizard and former DJ Ash Sargeant to curate a soothing soundtrack. Sound sorcerer Ash has transformed the mundane, monotonous murmurs heard during the day, such as the tapping of a keyboard, train wheels on a track and taxi horns blaring, into a calming playlist to enhance your me-time and propel you to Cloud Nine. You can check out the Optrex playlist on YouTube and watch a short documentary showing Ash working his musical magic. Using The Optrex Warming Eye Mask. The Warming Eye Mask are contained in easy to open sachets. Once the sachet is open, the easy to follow instructions will help you unfold the mask and straps, to then proceed placing the mask over closed eyes. The warming eye mask feels comfortable to wear and instantly puts you in a relaxed mood. 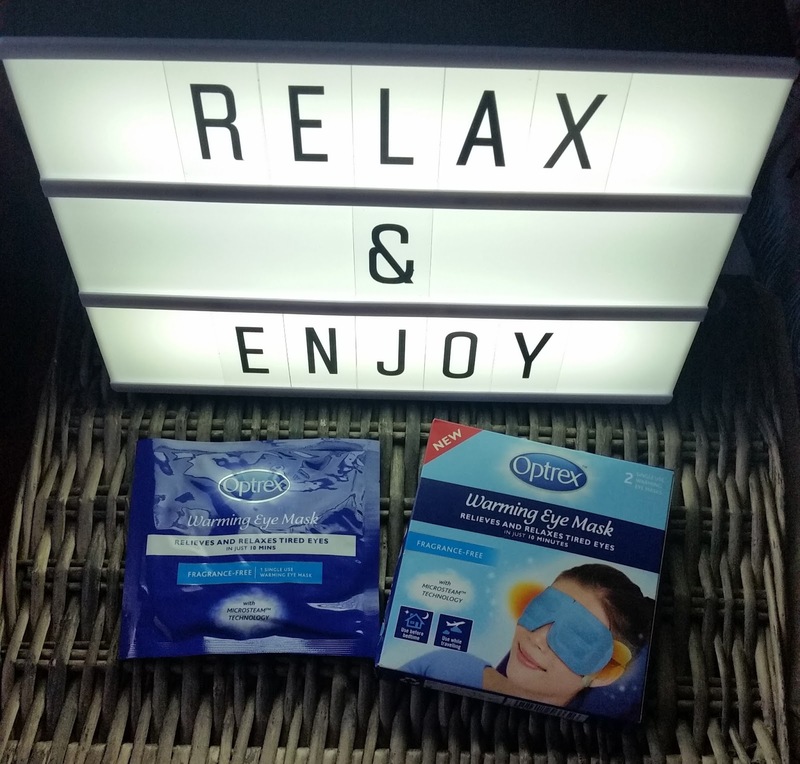 You can enjoy the warming eye mask before bed, travelling or anytime you feel you need some "Me" time. After the 20 minutes my eyes felt so much more comfortable and soothed. The mask whilst listening to the playlist is an excellent must-to-do, to give your eyes some love whilst creating a relaxing experience. 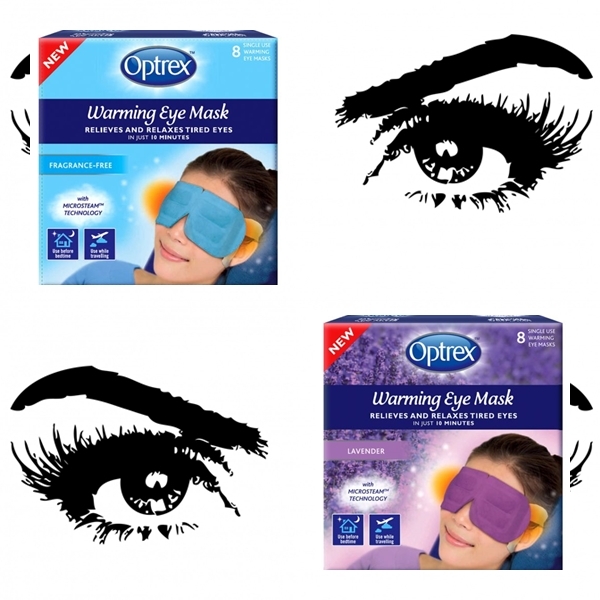 Optrex Warming Eye Mask 2 pack, RRP £3.99 is available at nationwide pharmacies and the Optrex Warming Eye Mask (scented and unscented) 8 pack, RRP £9.99 is available from Boots. Head on over to Optrex to discover more from their range. X Neil.